As part of Samoan Language Week, the UC Pacific Development Team is releasing a series of videos that aim to educate and also show off our awesome students and staff. Today’s theme is Samoan history. If you’re naturally a little bit quieter than those around you, come along and enjoy this thought-provoking Culture Workshop with speaker Alan Palmer, Project Manager from the Capital Works Team. If you’re just as noisy as the rest, come along and enjoy a brief walk on the other side of life for an hour or so, and learn to appreciate how extroversion isn’t everyone’s cup of tea. THURSDAY 1 June at Dovedale – DD02-101 from 2.00-3.00pm. What happens when you first report a sexual assault? The Reporting Sexual Assault To Police series takes you through the process of reporting a sexual assault for adults 18 years and over. In STEP 1 Senior Sergeant Tania Van Ooyen offers reassurance, advice and outlines what happens when you first report a sexual assault. UC has a policy on how staff are to report ‘serious wrong-doing’ (as defined by the Protected Disclosures Act 2000) and how those handling a disclosure are to behave. Our policy on this is called Protected Disclosures Act -Internal Procedures and Code of Conduct, which is available via the UC Policy Library. This policy has been around for a number of years, but it is important to keep yourself up to date with it to ensure that any disclosures you wish to make that are covered by the Act, can be made in a way that provides you certain protections. The University will draw staff’s attention to the policy on a regular basis, At such times, staff should refresh themselves on this topic by reading the policy. Please take this notice as a opportunity to refresh yourself on this policy and the internal procedures contained in it. The Early Childhood Learning Centre on campus celebrated its 30th anniversary with an Open Day on 27 May. 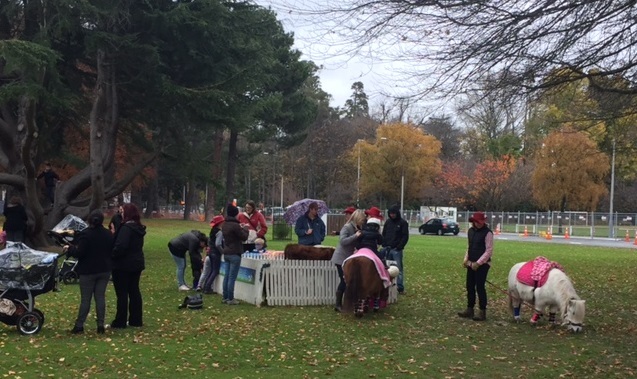 The wet and grey weather did not dampen the spirits of those who came. Families, friends and staff from past and present turned up to celebrate the special event. Sheila Walker, the very first Supervisor of the Centre, was there to grace the event. Together with our VC Dr Rod Carr, they unveiled ECLC’s Māori name – Te Whare Kōhungahunga o UC, which means early childhood centre of university. 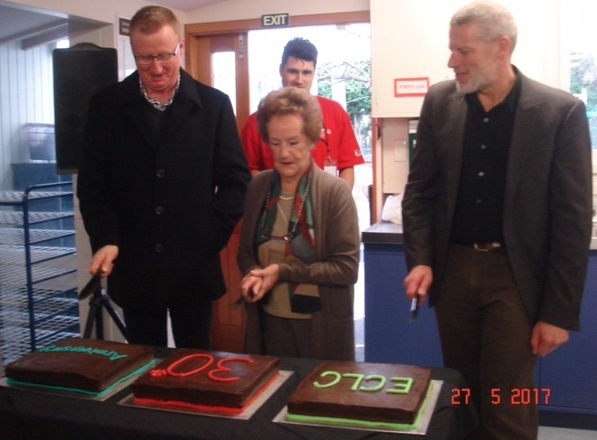 Paul O’Flaherty, the Executive Director of HR, and overseer of ECLC, the VC, and Sheila cut cakes to mark ECLC’s 30th birthday. 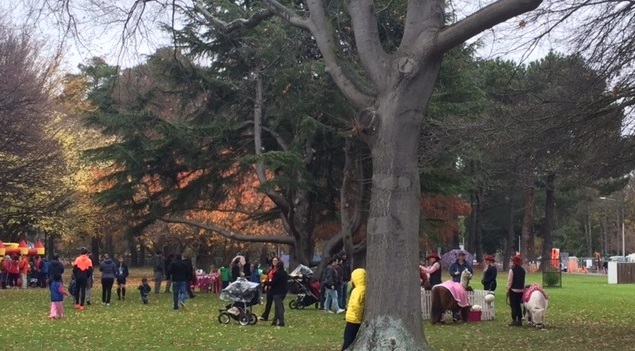 There were lots of free baking and hot drinks for all to enjoy. 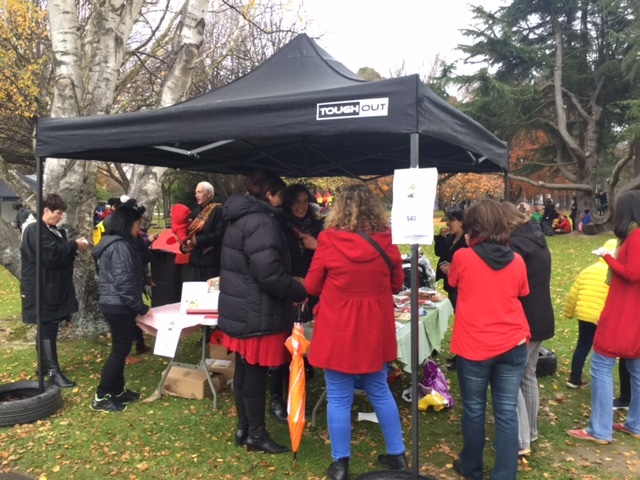 The children were kept en tertained with a bouncy castle, face painting, pony rides, and a small collection of farm animals that came to visit. Squeals of delight were heard when old friends connected and reminisced the good times. It was an exciting time of catching up, and renewing connections.